Track review of "Too Toney"
Reared in Kansas and currently residing in Chicago, Charles Rumback has evolved into a go-to drummer these days, performing with proven progressive jazz and improvising warriors, trumpeter Ron Miles, saxophonist Tony Malaby and here, leading his piano trip captured live at the Windy City venue, Constellation. 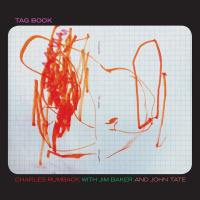 Rumback's lyrical beats and colorific shadings, along with John Tate's prominent bass lines, supply a broad and nimble foundation for pianist Jim Baker's intricate sound designs and exquisite harmonic output. These four predominately lengthy works enable the band to explore and invent without rushing into matters. It's not about quantity or technical gymnastics, yet more ingrained in compositional development and communications. 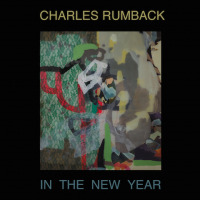 Nonetheless, Rumback and Tate's resonating cadences are fluently articulated and enable Baker to adapt, adjust and take various schematics down alternate routes. The pianist uses melodic content as a vehicle for improvisation amid highs, lows and a few treks into free-jazz terrain. And while the trio's synergistic improv remains a focal point throughout, they always manage to sustain a cohesive flow. Baker's eloquent phrasings nicely offset the upbeat metrics as the band also pays homage to the Bill Evans school by reworking ballads into expressive improv forums. 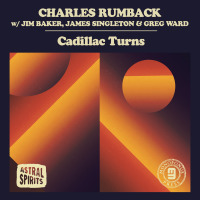 But the final track "Too Toney," begins as a jazz waltz and tinted by Rumback's delicate cymbals hits and percussive use of the ride cymbal bell via a few Latin grooves. Here, the pianist takes his time designing the melody, treated with sleek chord clusters and weaving a delicate storyline into the oscillating medium-tempo pulse. 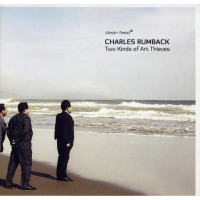 Essentially, the trio's concentrated delivery is leisurely created as Tate's unaccompanied solo spot mirrors the primary theme. No doubt, the artists apply their mode of attack with a group-centric line of sight as opposed to driving laps around a racetrack at breakneck speed. Track Listing: 1. Salt Lines; 2. Three Storey Birdhouse / Right Reasons; 3. Erato; 4. Too Toney. 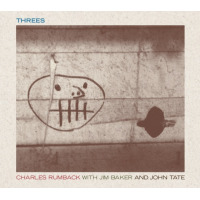 Personnel: Charles Rumback: drums; Jim Baker: piano; John Tate: bass.